In this solo exhibition, Halifax-based artist and editorial cartoonist Bruce MacKinnon presents his recent suite of caricature-portraits of Canada’s prime ministers past and present. Included are examples of works-on-paper and paintings created by MacKinnon between 1993 and 2017 that together depict all 23 prime ministers, from Sir John A. Macdonald to Justin Trudeau. Through MacKinnon’s signature wit and brand of satire, these works make visible the politics and events that have helped shape our country’s history and the society in which we live today. Image: Bruce MacKinnon, Rt. Hon. 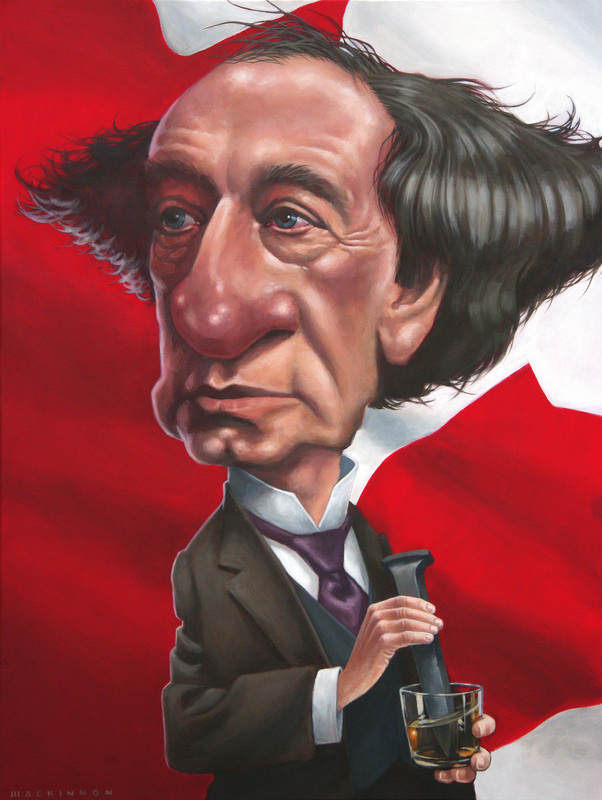 Sir John A. Macdonald (“Spiked drink”), 2016, acrylic on canvas 76.2 x 101.6 cm. Collection of the artist.